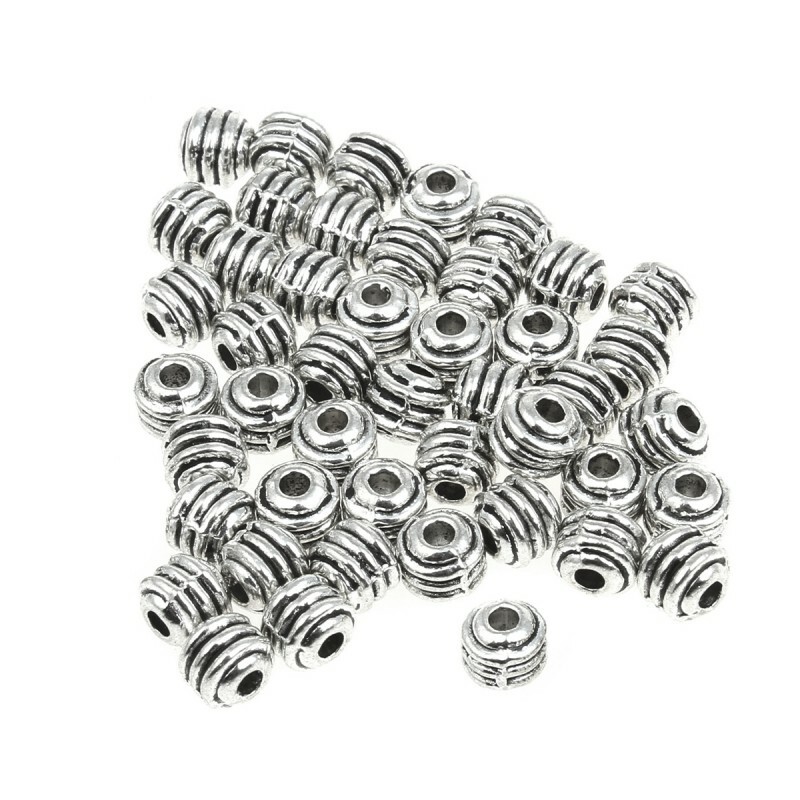 Round and striped bead of metal. Nice metal finding with round shape and stripes of 5 mm in diameter, ideal for mounting bracelets. 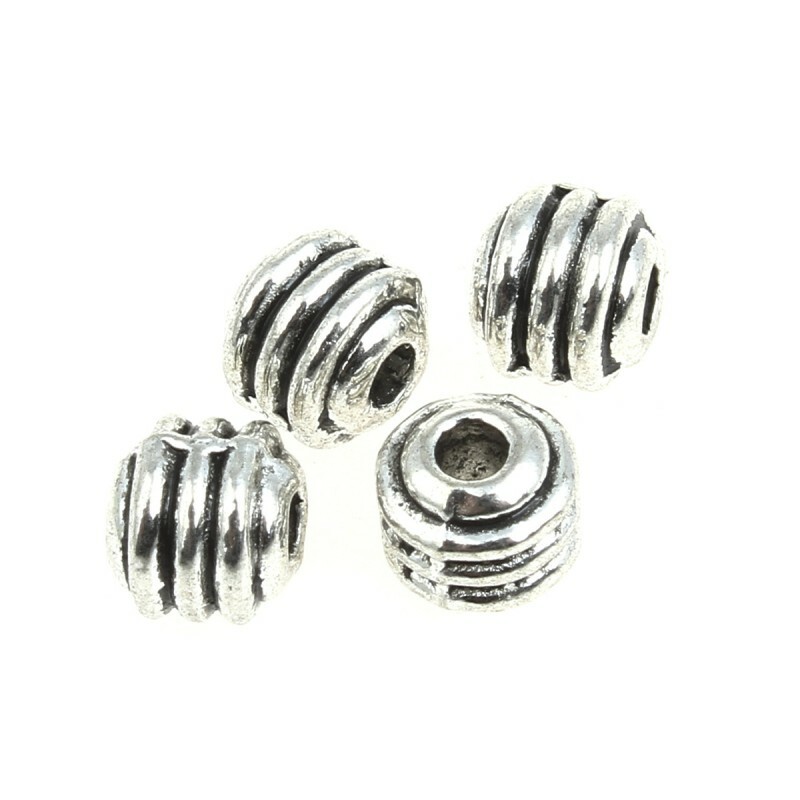 This bead is made of a zinc alloy in antique silver color. 20 grams bag with about 55 pieces.